Incite have released a video for their brand new single Built To Destroy. It’s the title track from the record, which is set to arrive on January 25 via minusHEAD Records. 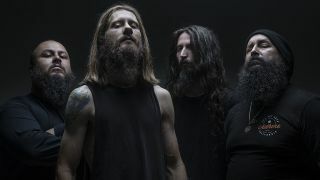 Speaking about the song, Incite frontman Richie Cavalera tells Metal Hammer: “We’re ready for all the metalheads to hear and see this new video! “We wanted to do something that was dark and full of energy with lots of heaviness, and really keep it all about the music. The album is now available for pre-order, with the cover art created by Andrei Bouzikov, who has previously worked with Municipal Waste and Skeletonwitch. Incite will head out on the road with Six Feet Under later this month across Europe before heading to North America with Soulfly in early 2019.